In case of cancellation, amounts to be considered as lost are the ones that on date of cancellation have already been charged on given CC details. rest of amount 1 week before arrival by charging CC details. 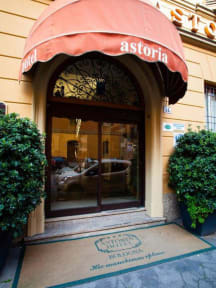 Hotel Astoria does not require any deposit as caution due for problems occured and created by Guests. Management of hotel will discuss directly with resonsible of group in case of any damage occured to services and/or furniture of the hotel, whose responsibility is of people taking part to the group. 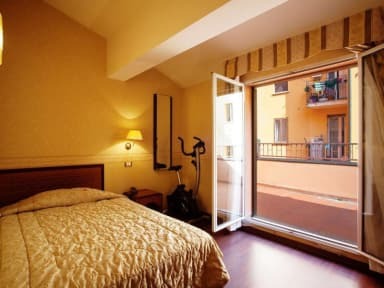 The Astoria Apartments, are located in three different addresses, not far from Central Station and in a central location, allowing you to easily explore Bologna on foot .The position is established on the day of check-in, unless prior and specific request. Check-in is at the Hotel Astoria Via Fratelli Rosselli, 14, where there is an active Reception 24 hours on 24 and where you will be given the keys, instructions, a map of the city and where you will make the payment . They offer free wi-fi, air conditioning and well-equipped kitchenette, the apartments include towels, linen and ending stay - LCD TV, safe. Check-in time is from 03.00 pm ; check-out time is within 11.00 am. The addresses of the apartments in order of distance from the Hotel Astoria, the check-in office, are: via Milazzo, 12; Via Galliera, 61; Via del Borgo di San Pietro, 59. At the Hotel Astoria is available a free luggage storage, and a free bicycle hire (deposit required).